Float Rack is moulded in Polypropylene is quite compact, autoclavable and can hold 16 micro centrifuge tubes for incubation in water baths. Easy to load, these are essential in microbiology & immunology labs. 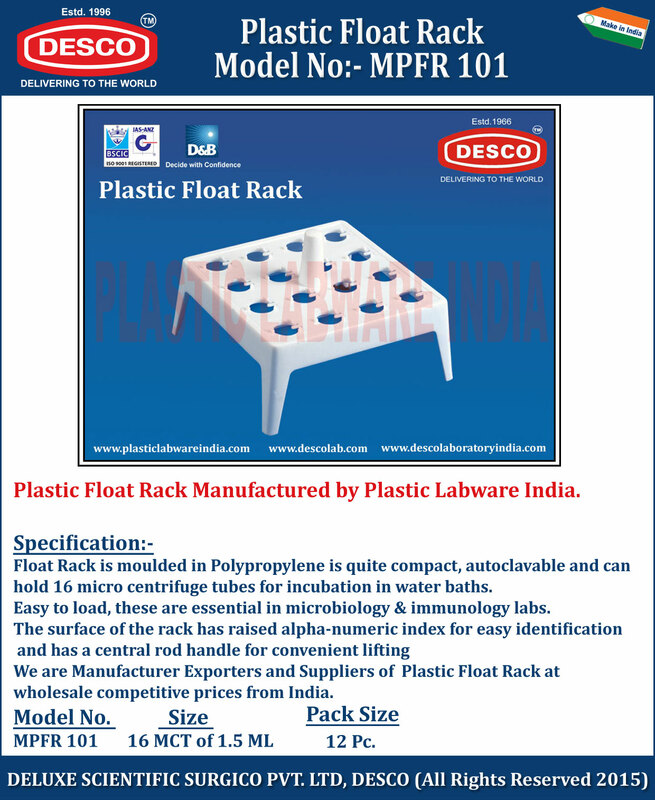 We are Manufacturer Exporters and Suppliers of Plastic Float Rack at wholesale competitive prices from India. MPFR 101 16 MCT of 1.5 ML 12 Pc.